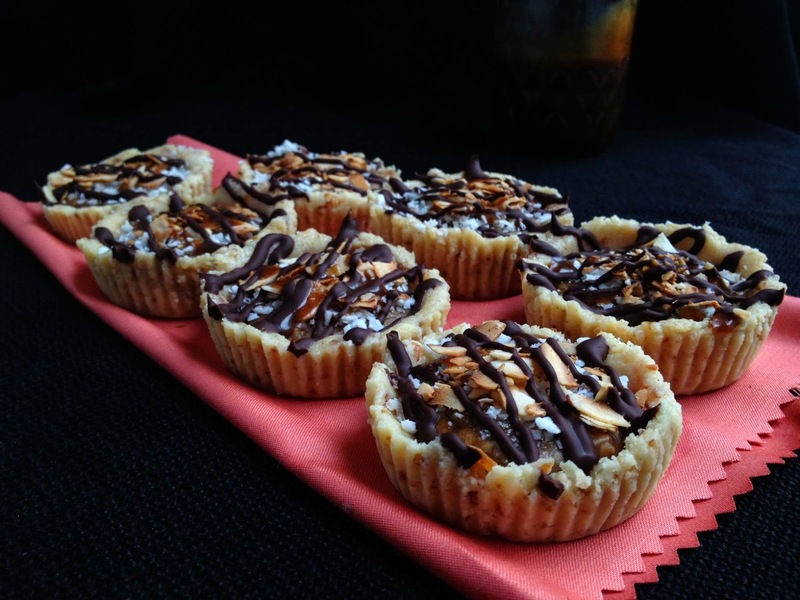 The Wholesome Foodie: Gluten Free Girl Scout Cookie Cups! 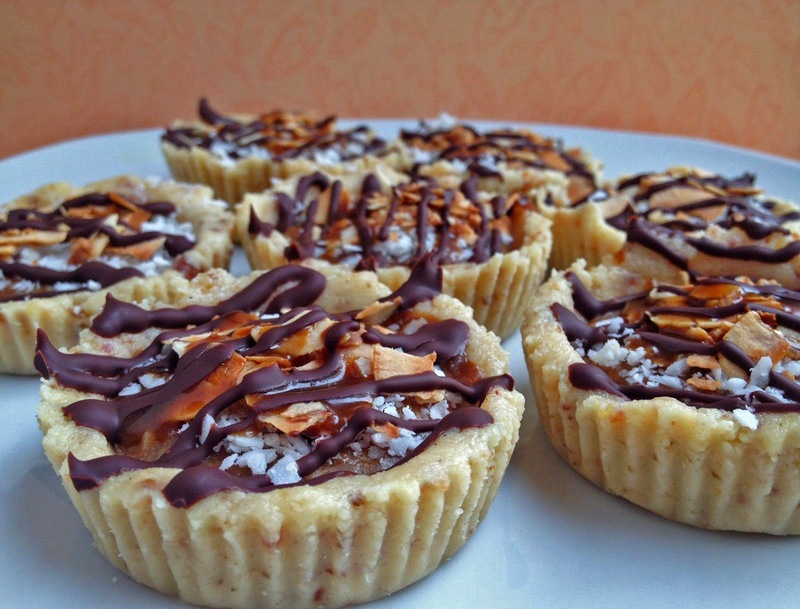 Gluten Free Girl Scout Cookie Cups! 2. Add all ingredients to a food processor and pulse until mixture forms a dough. 3. Spoon dough into muffin liners and press until formed up the side. 4. Refrigerate for 15 minutes or until next step is ready. 1. Add coconut milk and coconut sugar to a medium sized saucepan. 2. Stirring constantly, bring mixture to a boil for about 5 minutes. Keep whisking! 3. Turn down heat to medium and simmer for 10 minutes, stirring frequently. 5. Whisk cooled caramel and then reserve 1/2 cup of caramel for filling. 7. Spoon filling on top of cups and then refrigerate cups for 20 minutes. 8. Melt chocolate chips and add to a piping bag or a zip-lock bag. 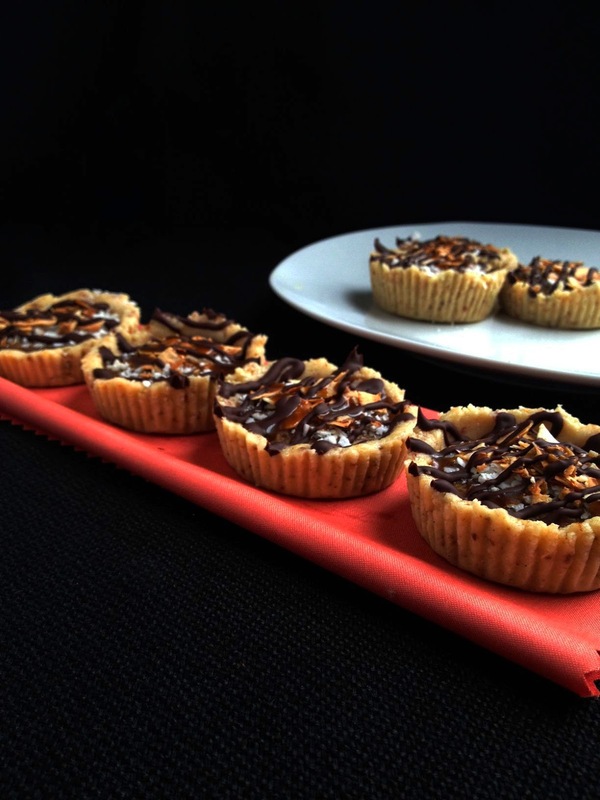 Pipe chocolate over cups and add toasted coconut as you wish. 9. Keep refrigerated or frozen.